Dr. Jared Bibler ’14Ph.D. is currently an assistant professor at the American University of Phnom Penh, having spent the last four years traveling, teaching, and writing in India and Vietnam. After completing his B.A. and M.A. 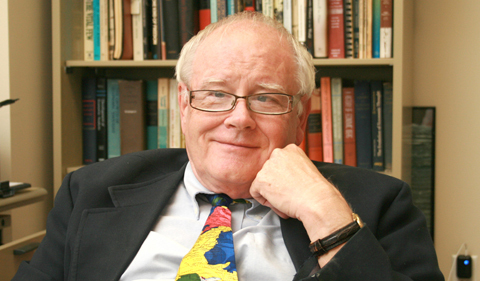 in International Studies and International Affairs respectively, Bibler participated in the Contemporary History Institute courses and earned a Ph.D. in History in 2014 from Ohio University. He completed his dissertation, “’We Live to Struggle, We Struggle to Triumph’: The Revolutionary Organization of the People in Arms and Radical Nationalism in Guatemala,” under the direction of Dr. Patrick Barr-Melej, Professor of History at OHIO. 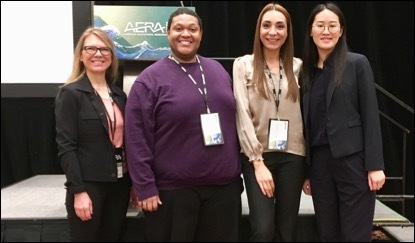 Combining a desire for international travel with a career in academia, Bibler has remained an active educator and is preparing a manuscript for potential publication. 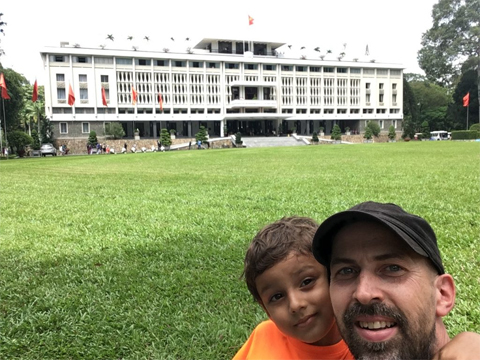 The Contemporary History Institute caught up with Bibler recently to discuss his time as a CHI student and what an academic life abroad offers him and his family. Where has your career taken you since leaving Ohio University? The short answer: India and Cambodia (with a year in Vietnam in between). Although I’m not really sure if it’s the career taking me those places or me taking the career and making it work. My wife and I had entertained the idea of moving abroad, but it was only when I was completing my dissertation that we started to seriously consider that possibility. We both love to travel and experience the world, and we wanted to instill a similar attitude and appreciation in our son. It was the perfect juncture for us to make the move as I was finishing my degree and did not have a full-time job lined up for the fall. So we found job opportunities, sold all (or most) of our stuff, and spent about two and a half years in Mumbai, India. I was an Assistant Professor of History and International Studies at an institute associated with Arcadia University in Philadelphia. There I taught the first two years of Arcadia’s undergraduate curriculum to Indian students preparing to move to the United States for the final two years. Mumbai is exactly as alive, intense, and chaotic as one might imagine, which made it an exciting place to live. Apart from my teaching duties, I gave various presentations at education fairs and stand-alone events on the value of the liberal arts education, at times feeling like some sort of “missionary” for that education model. Despite our love for Mumbai, in 2017, we were ready for a change, and my wife accepted a position in Ho Chi Minh City, Vietnam. Even though I did not have a job lined up, we decided to make the move. After some initial interviews and discussions with universities in Vietnam, nothing seemed to be the right fit. So I spent last academic year completing a manuscript, getting involved in the music scene, and being a full-time soccer dad. I just recently started an Assistant Professorship at the American University of Phnom Penh. I’ve only been on the ground for a few weeks, but have enjoyed my experience thus far. What courses have you taught and how does teaching abroad compare to the teaching experience in America? In India, I had the opportunity to teach a number of courses due to the size and needs of the institute. I taught the modern world history survey and introduction to International Studies, and due to popular demand, an American Politics course during the 2016 election season. Even though the institute offered existing courses from Arcadia University’s catalog, I had the opportunity to develop two new courses. I created a First Year Seminar on Politics and Protest in Twentieth Century Music, as well as a sophomore level Topics in International Studies course on human rights. One challenge teaching in India was that for many students my classes were the first real exposure to inquiry-based learning. While many freshman at U.S. universities might not arrive with the level of critical thinking and analytical skills we hope for, they tend to have a better understanding of what will be expected having been raised in that educational culture. Generally speaking, Indian students came to me from a system of rote learning, especially in history courses, where simply memorizing the “facts” and views of the teacher in order to regurgitate this on the exam was the way to get the grade. According to many of my students, there was no reward for thinking critically and questioning sources, ideas, and analysis. In fact, questioning the teacher’s analysis could potentially have a negative impact on your grade. For many students, it took a little while to understand and adjust to this new approach. Do you have any publishing plans or ideas for a future research topic? I recently completed a manuscript based on a part of my dissertation research. While my dissertation was a broader examination of the ideas of the Revolutionary Organization of the People in Arms, a political-military movement that operated in Guatemala from 1971 to 1996, this manuscript focuses specifically on the organization’s perspectives on race in Guatemala. I have a couple ideas of future projects, including one that would deal with both Central American and Vietnam, but these are still in preliminary stages. I’ve also become quite interested in modern Cambodian history the past year, and feel there could be some great projects there. How do you think the Contemporary History Institute’s multidisciplinary approach influenced your research and teaching? I came to CHI with an interdisciplinary background having completed my B.A. and M.A. in International Studies and International Affairs respectively, so for me it was great to continue with such a multidisciplinary approach. I pursued such fields since they forced me to read widely and enabled me to think comprehensively about the world. I think this has caused me to take a less rigid approach to academic disciplines. I would guess that the majority of books and articles that I read are not actually written by historians, not that I really think about it that way though. If the research is sound and compelling, it has the ability to enhance my understanding of the human experience, regardless of the author’s background. Do you have advice for anyone interested in an international education career? I’ve really enjoyed my experience up to this point. Living in Asia has not only allowed us to experience daily life in different cultures, but has enabled us to travel widely throughout the region, even experiencing new countries, areas, and cultures on weekend getaways. For someone interested in living outside the U.S. with flexible teaching interests, I’d recommend exploring opportunities in international education. Visit the Contemporary History Institute’s Facebook page for regular updates on lectures, events, and other CHI-related matters.